East Japan Great Earthquake Disaster occurred on 11 March 2011. 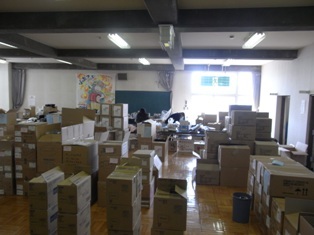 Sankaku Planning Iwate, registered non-profit women’s organisation based in Morioka, Iwate intends to support women and those whose lives have been affected by this Disaster. Please donate to us if you support our initiatives. We’ll make use of your donation to deliver supplies to women and those whose who are in need in the affected areas. Fill in the form and send it to us via fax at +81 (0)50 2013 4750. After completing faxing your donation form, make a transaction to one of our following bank accounts. Copyright © 2019. 特定非営利活動法人　参画プランニング・いわて　All Rights Reserved.